Reflect Christ's breathtaking valor, glory, beauty, and splendor. Proverbs 31:25 says that a virtuous woman is “clothed with strength and dignity.” The word “strength” in this verse means “supernatural valor” and the word “dignity” means “glory, beauty, and splendor.” These qualities cannot be obtained from any fitness routine, diet strategy, make-up technique or clothing trend. They can come from no other source but Christ. When a woman finds her satisfaction and joy in Jesus Christ, she reflects His breathtaking valor, glory, beauty, and splendor. Others notice Him shining through her eyes, reflected in her smile, and radiating from her demeanor – no matter what may happen to her physical body. 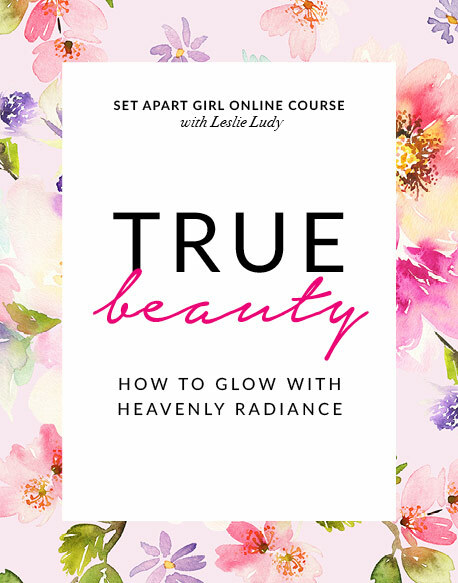 Join Leslie for this powerful course on what it means to reflect heavenly radiance, no matter what age or season of life you are in!